The following are examples of Facebook/Twitter and other social media projects that I have done for professional groups and companies. For my personal Twitter and Instagram, use the sidebar to find me (@kryanlion). 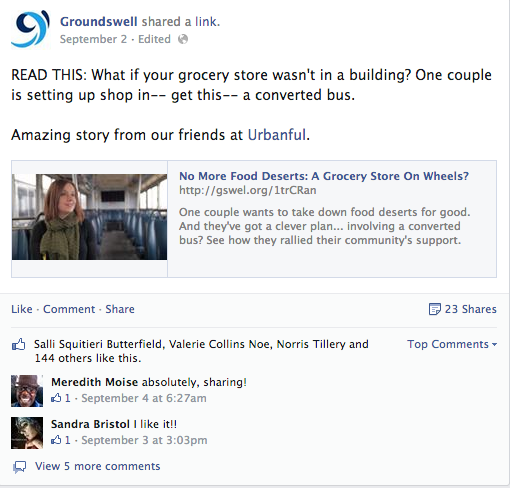 As I took the reins of the Groundswell Facebook page as Brand & Content Manager, I became a part of a masterful team. Together, we more than tripled our Facebook page likes, and doubled our Twitter following. I implemented a social media calendar and standardized a style guide for posts, which is still in use today. In our social media arsenal, we used HubSpot to coordinate Facebook and Twitter. As social media coordinator, I created and instituted a social media calendar, increasing likes by over 75% and reach by 2000%. I also helped to develop posting guidelines, a marketing schedule, coordinated for a new cover photo and graphic design assistance, and extensively developed brand-new print materials (guidebooks, brochures, Powerpoints for pre-departure orientation) for use in the office. I mastered the use of Google Analytics, Publisher, Photoshop, Microsoft Creative Suite, Facebook Pages, and Facebook Insights. 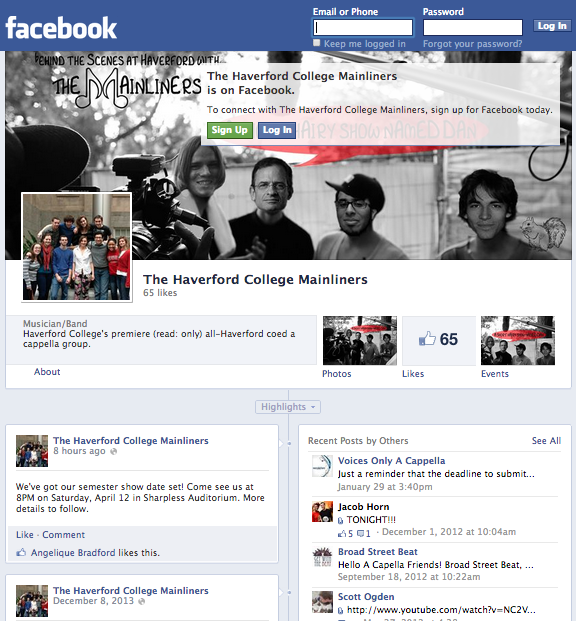 Designed and maintained Facebook page/marketing for coed a cappella singing group on campus (of which I am a part!). 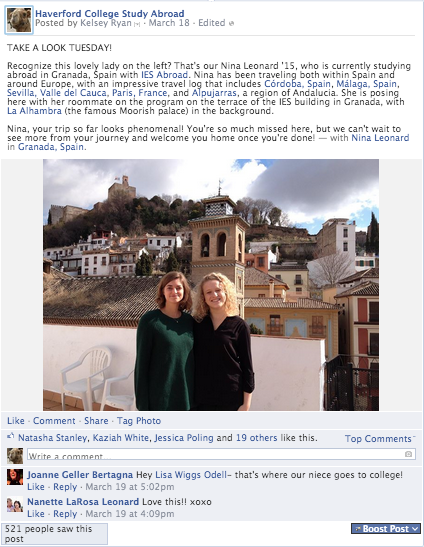 Keep content continuous and engaging (photos, status updates, links). Create event pages for upcoming concerts, reach out and connect with other a cappella performing groups (as tour manager ’11-’13).